As ever, Glastonbury 2017 reaffirmed itself as the greatest music festival in the world. Alongside monumental performances from the likes of Radiohead, Foo Fighters and Chic, the festival’s stages were also graced by a notable selection of ICMP graduates who all left their mark on this year's event. Playing throughout the weekend our graduates featured across the site, from the John Peel and BBC Introducing stages to the more intimate Rabbit Hole and Strummerville Camp, creating a lasting impression on all who saw them. This included BBC 6Music’s Mark Radcliffe, who declared Rews’ storming set on the John Peel stage as one of his festival highlights! I watched some of my favourite acts play the John Peel stage last year, so getting the opportunity to play it this year alongside some serious talent was incredible. Playing Glastonbury is always a special experience, as well as it being our biggest crowd to date. The energy and the people are like no other, it's like you just get lost in it all. Can't wait to be back!" 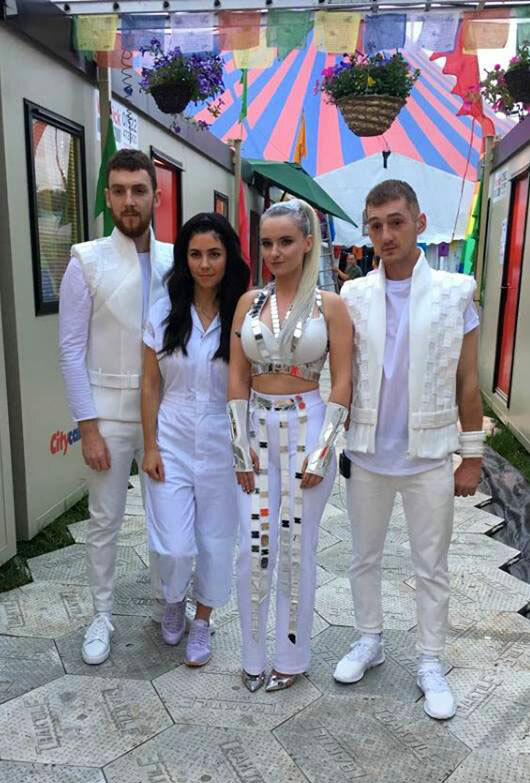 Drawing one of the biggest crowds on the John Peel Stage was the phenomenally successful Clean Bandit featuring ICMP Drum graduate Luke Patterson. You can catch Luke in action during Clean Bandit’s set on the BBC site here. The festival also hosted Burnz, led by Songwriting Graduate Joe Burnie, who played two great sets during the weekend. Plus Songwriting graduate Matt Maltese, recently signed by Atlantic records and described by the NME as “the UK’s answer to Father John Misty, played two rousing sets on the BBC Introducing stage and at the Rabbit Hole. As Glastonbury draws to a close, the festival season continues at full speed and so do the appearances from our students and alumni! Next up is Latitude on the 13th July, where you’ll find Matt Maltese and Declan McKenna playing alongside headliners Mumford & Sons, The 1975 and Fleet Foxes. Find out who’s playing where throughout the summer at our 2017 Music Festival Guide. If you’re looking to take your playing and performing to the next level, and dream of playing to huge festival crowds, then let us help you find the right course for you. Our Admissions Team are on hand to help you, call them on 020 7328 0222 or email enquiries@icmp.ac.uk.